We review every theme before it is live on the site. New themes will always go through a full review before they're allowed on Bootstrap Themes whereas updated themes will go through an abbreviated review. We've broken down each step of the process below in order to make it as clear and predictable as possible. If you need help with the actual upload you can see a step by step at the following article. With all the above in mind, your themes will be in good company! Our goal is to bring together a diverse set of themes that offer clear differences and advantages rather than a massive sea of mediocrity. We want to offer our customers a hand-picked collection of the best themes possible and a focused revenue stream for our sellers. Product needs to attach a single zip file. Attaching any other file type will result in a rejection. We want to keep the deliverables accessible to everyone and zips work the best. Screenshot needs to be an unedited screenshot of a theme view. This means no “marketing screenshots” with extraneous text or edited layouts. It needs to be an exact screenshot of an actual view in the theme. Live preview needs to be exactly what you’re selling. This means it must represent the latest version of your theme and everything available in the preview must be available in the theme download. Live preview needs to load in a reasonable time. Since we’re iframe’ing live previews, we require the load times of these views to be snappy. There’s no exact cutoff, but if they’re not reasonably performant, we'll send it back to you before approving it. Details in the description must be accurate. Any product claims made in your description (or anywhere in your theme pages) must be true. Categorization must be accurate. Put your theme in the most accurate category of theme. If your theme doesn't fit in a category we already have put it under Uncategorized and a quick note in the description so we can sort out where to put it. We are also looking at the overall quality of your code so ensure it's well documented and well laid out. While it's hard to come up with a list of every thing we look at from a code perspective we'll continue add examples here as we see common issues crop up! 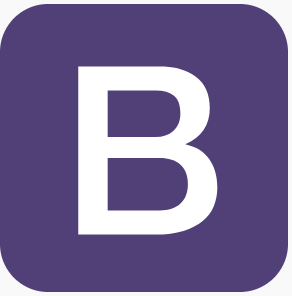 Bootstrap 4 must be used. This is to ensure that customers are using the most modern technology and have a common base to work from. Must include documentation for new components, extended Bootstrap components, and to install or get started with the theme. If there’s compiling involved, that also must be documented. All external assets most be properly licensed unless specified otherwise. If you're going to use external plug-ins or other assets they must be properly licensed. If there is anything that isn't included (such as demo content) just be sure to note it. In general, reviewing the articles in our "Creating your theme" section of the Help Center will help get you started on the right track. If you only update your theme's details (not the theme .zip): We will allow you to update your theme's details instantly without review. This allows you to freely change your marketing, pricing, screenshots, etc. without waiting for us. They must still adhere to the practices we've laid out and we'll check in here and there as needed. If you update your theme's .zip: We will review all your changes, both those in the .zip and the product details. It won't be with the same fine-tooth comb of our original review, but we need to make sure all the changes are up to snuff :) . We'll stay in close communication during the update process to make sure we can get updates out as quickly as possible.